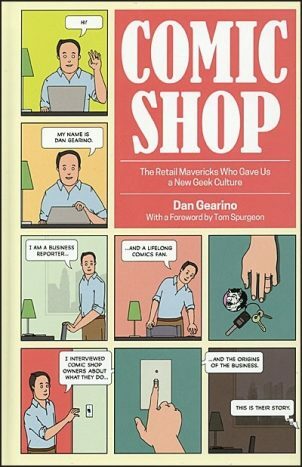 A new book by Dan Gearino called Comic Shop: The Retail Mavericks Who Gave Us a New Geek Culture explores the evolution of the comics direct market and modern American comics shops, both of which were important to the success of Elfquest in the late 1970’s and early 1980’s. The first edition of the Original Quest (published by Warp Graphics) was distributed via the direct market and was available solely in specialty comics shops. In telling this important piece of comics history, Gearino shines a spotlight on Wendy Pini’s contributions to comics and cosplay culture. Of the creators mentioned, the two with the most coverage included Wendy Pini, Elfquest creator and Red Sonya cosplayer, and Raina Telgemeier a New York Timesbestselling author of graphic novels for young readers. Pini became one of the breakthrough independent creators in the late ’70s in part through the relationships she built in the industry with distributors who supported her by buying copies of her first issues and promoting them through their stores. Outside of her work, she had become known through her Red Sonya performances at conventions. While some judge her revealing costume as something negative, she reflects on her performances as a way to present a feminist message to the audience while becoming a recognizable person to the industry. This complex duality played to the gender biases prevalent in the comics industry while opening doors for her and her diverse readership in the world of comics. Order Comic Shops: The Retail Mavericks Who Gave Us a New Geek Culture.